COSMIC FLOOR ARTEMIDE LEAF LAMP - The Cosmic Leaf floor lamp was designed by Ross Lovegrove for Artemide in Italy. 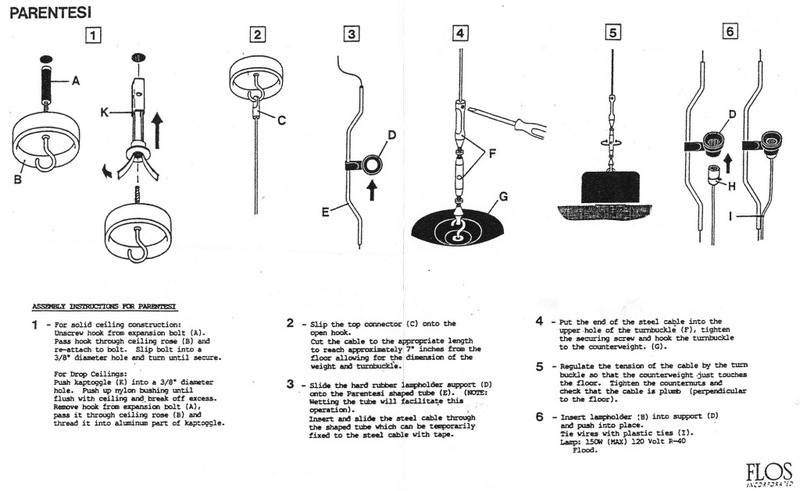 This is a floor standing luminaire for diffused halogen lighting. 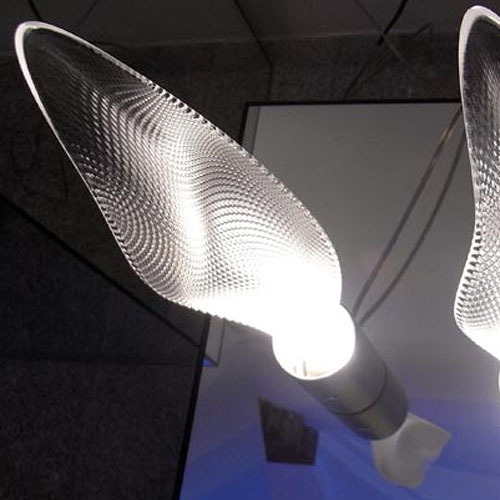 The floor lamp diffuser is in textured transparent methacrylate. The structure is in chromed steel, with a base in light grey brushed aluminum. 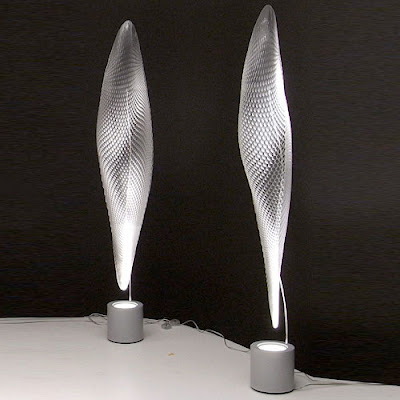 the stylish cosmic leaf floor lamp (cosmic leaf terra floor lamp) was designed by ross lovegrove for the italian lighting manufacturer artemide lighting. the cosmic leaf floor features an organic looking shape and with its unique design is reminiscent of a beautifully wound leaf. a fascinating and vivid play of light and shadow created by diffused lighting makes this contemporary artemide floor lamp an irresistible addition to your home or office lighting. the cosmic leaf floor lamps from artemide are made of structured and transparent methacrylate, the lamp body is grey and rests on a pedestal made of chrome-plated steel. 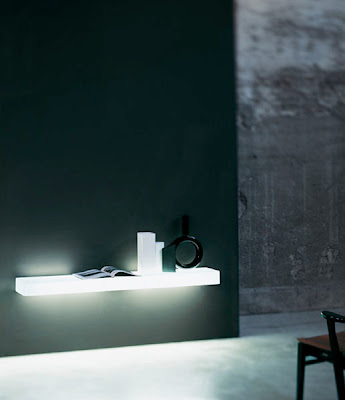 next to the cosmic leaf terra floor light solutions; the cosmic leaf by artemide collection features a table lamp, wall lamp, and suspension lamp, all found in the "collection".